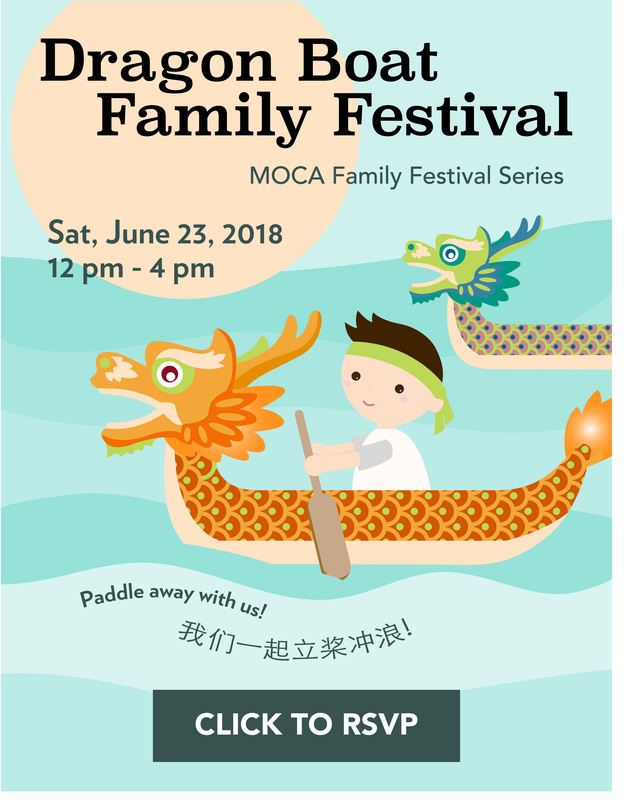 MOCA Dragon Boat Family Festival! Paddle away with us! Celebrate the Dragon Boat Festival with an afternoon of family fun--filled with pests, potpourri, and plenty more! Tickets: $10/person, $8 for all MOCA Dual and Individual Level Members, Free for MOCA Family Level Members and above, children under 2, and Cool Culture Members.